Before any of the sync features can be used, the setup steps described below must be completed in your G Suite and Staffroom sites. It is very important that the steps are carried out carefully, in the correct order, and by users with the stated administrator roles. Failure to follow these instructions properly may lead to incorrect setup and unexpected results. The following setup steps must be completed in your G Suite Admin console. NB: API access and access to Google Classroom must be enabled by a G Suite for Education user with the Super Admin role. Log in to the the Google Admin console (at admin.google.com). Go to Users then select your user name. Make sure that you have the Super Admin role in the Admin roles and privileges section. Go to Security and select API reference. Make sure the Enable API access box is checked. * The steps above allow all users in your G Suite to access the Google Classroom app. Users in G Suite can be put into organisational units to help you control what apps they have access to. If you have some students at your school who you don’t want to have access you can use organisational units to achieve this. Staffroom allows student grades to be linked to specific organisational units (see Step 6 in Staffroom setup below). The following steps must be completed in the Settings section of your Staffroom site. These steps must be completed by someone who is a System Admin user in your Staffroom site and also the Super Admin in your G Suite (see above). 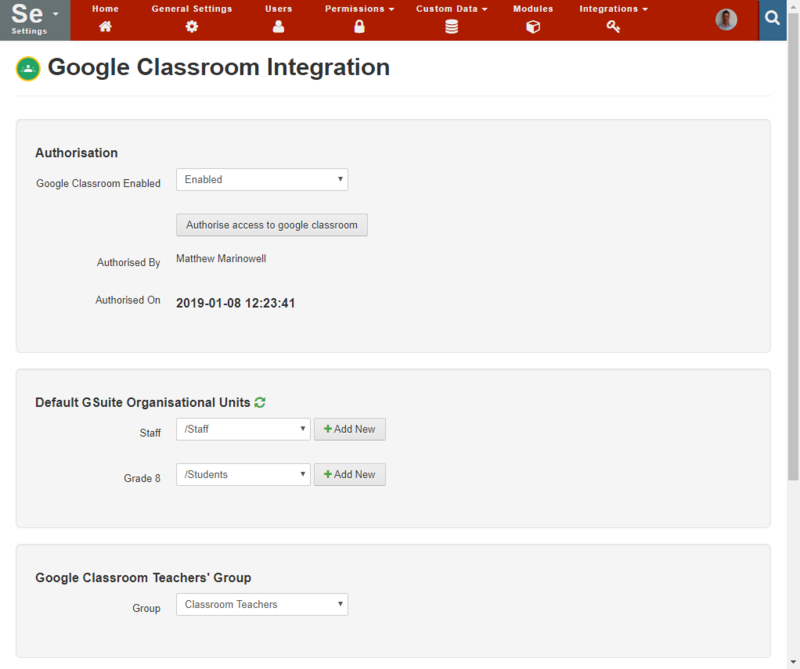 Set Enable Google Classroom Integration to ‘Enabled’ and then save this. Click the Authorise access to Google classroom button. After logging on, you will be asked to authorise Google account access for mystaffroom.net, click allow. 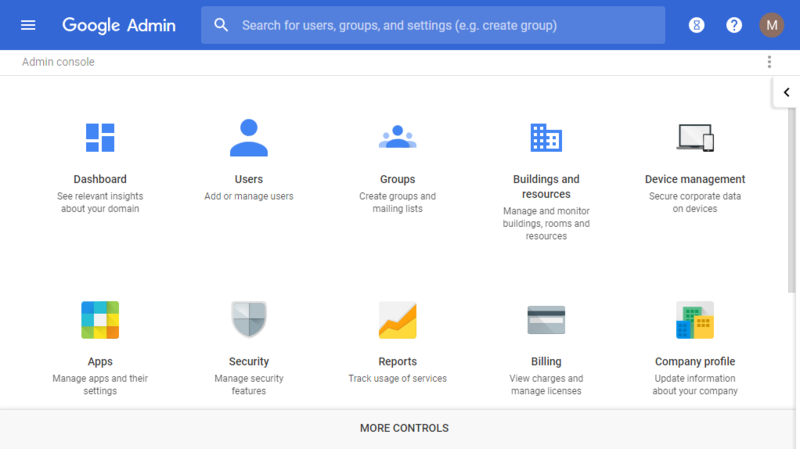 Users in G Suite can be put into organisational units to help you control what apps they have access to. If you have some students at your school who you don’t want to have access to some G Suite features you can use organisational units to achieve this. Note that you can also use the G Suite Groups feature for this purpose as well. Select or add a new organisational unit for students in each grade listed. If you don’t want students in some grades to be synced you can leave the organisational unit blank for those grades. The Staffroom team recommends using the same organisational unit for all student grades that you would like to sync. Select the Google Classroom Teachers group. The Google Classroom Teachers group is a group that is automatically created in G Suite. This group controls who has teacher access in Google Classroom. The group should already exist in your G Suite but the name can be different as it can be modified.